Install Viber on Computer using Youwave Android Emulator : Make Free Calls | Free Pc to Phone Calls, Free Voip Calls to India International ! Large number of people have started using Smartphone. If you have a smartphone like iPhone or Android Mobile or Blackberry or Windows Mobile, then Viber is one app which you must be using. You and your friend can use voip application on your mobile to make free calls to each other. Viber is a famous multi platform application, which allows all viber users to talk to each other for free. However, you need to get disheartened if you don't have a smartphone. You can still enjoy free calls from your PC. That is possible with using Viber on your PC. We earlier posted one Step by Step tutorial to Install Viber on PC. The tutorial was a big hit and large number of people have successfully installed Viber on PC. 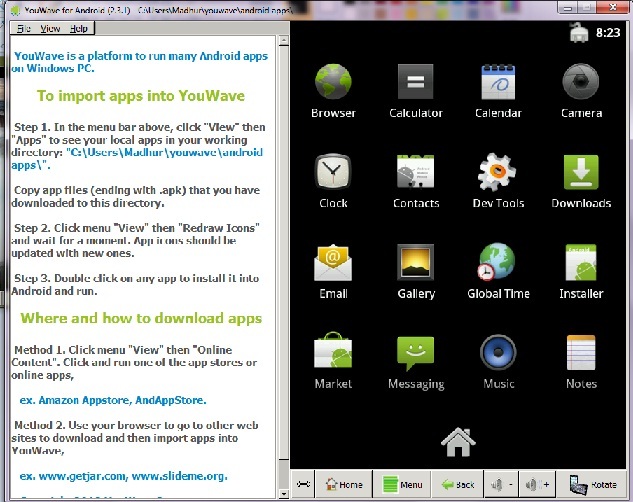 The tutorial involved using android emulator on PC and then installing the viber application on it. However the tutorial was a bit complex and still lot of people faced difficulty. So, we found another simpler manner by which you can install Viber on Computer! It will take just few minutes to install the Viber application on your computer. Just make sure to follow the simple steps as listed below. We have personally tried the method and viber works great on PC. You will be able to make calls and send free sms from Viber installed on your PC. Lets again understand this in concept : Viber is already available for Android mobiles. Just like the previous method, if you emulate the Android Environment on your PC then you can install Viber application on your PC. Creating an android emulator on PC can be tedious, so if you download an Android Emulator directly on PC then it will be great! That is where YouWave comes into picture. Download the YouWave Client using the link. Its a big file (100MB), so it may take time. Few Minutes! Install YouWave on your PC. Simply accept everything! It will take one minute or so. 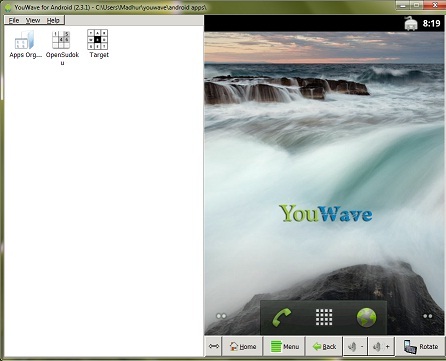 Start YouWave Emulator on PC. Click continue with trial version. This should start your YouWave Emulator on PC. Click View (Online Content) --> Select Android Market. This will install Android Market app. Click Menu and select Market App. Android Market will Open up. Search for Viber in android market. Install the App by clicking "Accept and Download"
I hope you have installed the Viber on YouWave. Now to get it working, you need to verify your number with Viber. This is same method we posted in the last tutorial. So just follow the section "Verifying the Viber Application" as posted in previous tutorial. Only thing is YouWave is a paid version software. You may try the trial version of YouWave and if you like it then you can purchase the full version. If you face any difficulty then please let us know in the comment section. We will try our best to resolve all your queries. If you want us to create a video, then please let us know. message: "viber application crushed, notify to fix the bug"
I'm having the same problem. " Viver crushed..."
VIBER HAS ARM BASED NATIVE CODE. SO IT CAN NEVER BE INSTALLED IN YOUWAVE. THE WHOLE ARTICAL WRITTEN HERE IS WITHOUT ACTUAL TESTING THE THING THAT IS NOT POSSIBLE.